Having the opportunity to live in such a diverse landscape is such a unique experience to have in a life time. India is a country of constant contradictions and you can fall in and out of love with very quickly, but majority of time it will capture your heart. I studied Fashion management and production course at Pearl Academy, Jaipur. I was able to learn first hand traditional Indian block printing and design as well as see factories and production house first hand. I was given the opportunity to work with local exporters and create textile products with them and help them from their consumer market. Living in the Pink City allowed me to explore India’s treasures, experience incredible food and understand local traditions. Having so much on your door step leaves you never feeling bored as all your sense are constantly engaged. Man made beaties such as Amber Fort or the Hawa Mahal will take you back in time to the Moghuls of Rajasthan in this historical desert city, full of riches made of stones, silver and handy crafts. I believe allowing yourself to enter this countries natural wonders and cultural beauty will not only help students grow and understand the world, but also help create a great network of friends and mentors that will later benefit them throughout life whatever industry you go into. 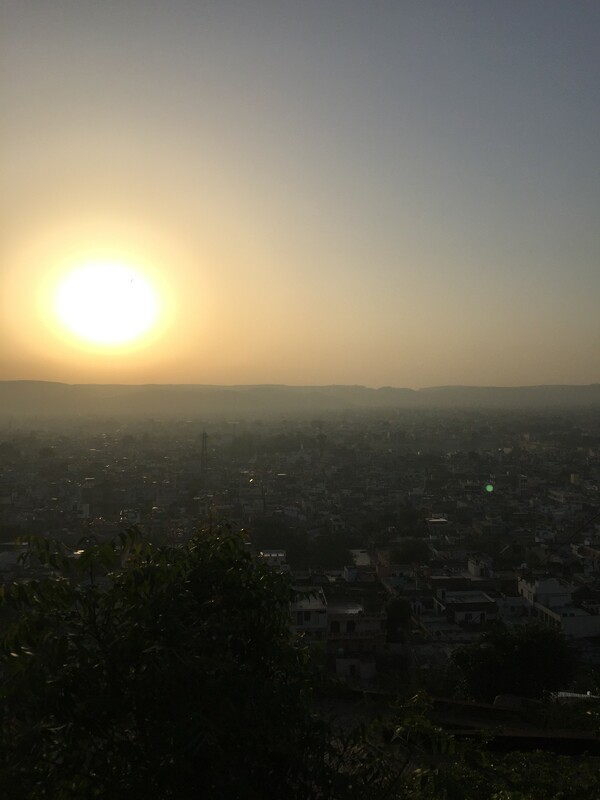 Jaipur is a city I believe everyone should visit as it’s truly one of a kind. Share your Erasmus Experience in Jaipur! If you know Jaipur as native, traveler or as exchange student... share your opinion on Jaipur! Rate different characteristics and share your experience.